Sign the White House petition to remove America’s name from processed cheese. If we reach our goal of 100,000 signatures, the White House will respond to this important national issue. We the people of the United States of America are being falsely represented by our namesake “American Cheese”. Is that the America our forefathers like Honest Abe Lincoln had in mind? Out of respect for the hard work and integrity that our nation was built upon, we respectfully ask that these processed, plastic-wrapped slices of deception be stripped of America’s name. The MOD-t is an easy-to-use 3D printer designed to be enjoyed by 3D printing beginners and enthusiasts alike. Combined with the New Matter Store, our online 3D design marketplace, the MOD-t is part of New Matter’s end-to-end consumer 3D printing solution. Comes with a 0.5 kg spool of New Matter Pink filament. Please note that the MOD-t is currently backordered due to delivery of our Indiegogo campaign units.ANY PURCHASE MADE NOW WILL BE DELIVERED IN APPROXIMATELY 16 WEEKS. New Matter explains how the MOD-t 3D Printer and New Matter Store ecosystem works. The MOD-t 3D printer is now available to order on https://www.newmatter.com. If you are like me you are probably scratching your head wondering why any fireworks are being allowed to be sold in the state of California considering the severe drought and the fire danger of fireworks. Well there are according to some estimates about 3,000 organizations in the state benefiting from the sale of “safe and sane” fireworks. There is a difference between so called “safe and sane” and illegal fireworks, illegal fireworks are not allowed in California. The rest do not allow and encourage attending a professionally produced show. How two powerful Chinese brands — Warren Buffet-invested electric vehicle maker BYD and media tech creator and distributor LETV — are tapping U.S. markets through a base in LA. Venture capitalists and angel investors are funding LA’s innovative startups with a China connection. Expat professionals are moving back to the U.S. after building their careers in Shanghai and Beijing. The unmanned SpaceX Falcon 9 rocket exploded on its way to the international space station on Sunday morning just minutes after taking off from Cape Canaveral in Florida. The first time the Falcon 9 has failed in 19 launches. Exactly what happened is still being investigated, but this is what Ellon Musk posted on twitter. Plans have been filed with the city to develop a marketplace where the existing Websters and Hallmark store was located at 2450 Lake. The developer has provided a deck to showcase the intended project. Millers (owners of Webster’s Community Pharmacy and MeredithM) will be staying. These plans pertain to our old space and the old Hallmark space. There are some great stores already in the area, on E Woodbury (AttireLA) and Fair Oak with Hoopla and Lailha’s Loft. There is a trend of new artist studios opening. Tuesday, Sept. 8, 2015 – ALL PROFESSIONALS & PUBLIC INVITED. As the trend in bakeries increases, we have another entry into Pasadena, on the every popular South Lake District. 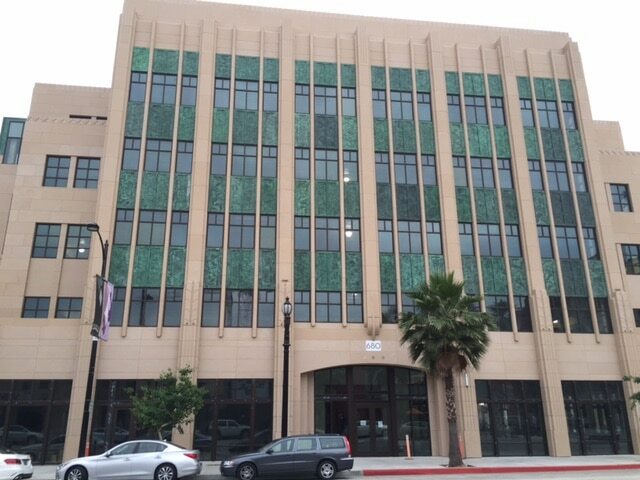 The location is at 167 S. Lake Ave, Pasadena CA 91101, this location was previously occupied by National University. According to a recent LA Weekly story Duke Bakery was started by a Taiwanese pastry chef and sells artisanal breads that combine European and Japanese influences. The Arcadia location opened on April 12, and according to one of the co-owners David Chao, plans are in the works for locations in Pasadena, Irvine and downtown L.A. While work is yet to begin on the location, we imagine that once work begins it will be pretty quick. David Chan and Rocky G Hung are leasing the location. Be a Duke Bakery Privilege Lifetime Member and enjoy 10% off all future purchases! You can get your card at new store openings and promotions. Duke Bakery is a California Corporation. Duke Bakery: 1370 Fullerton Road, Rowland Heights; (626) 839-0288. If you are curious about the Duke Bakery offerings, you can visit one of the two locations. After looking at space on the West Coast, Alibaba decided on Pasadena. This is a major victory for Pasadena’s tech sector. Alibaba is the largest ecommerce company on the planet. Alibaba, raised $25 billion in their U.S. IPO. What Alibaba will use the space for is still not known. Some speculate it could be a combination of different divisions, and perhaps some Yahoo related business. Shares of Alibaba(BABA) closed at 85.24 today up .07. The stock has been struggling on the NYSE after reaching a high of $120 in November 2014. BisNow reported on May 1, 2015 that Alibaba was looking at space. We hope that Alibaba opening offices in Pasadena will lead to exciting new developments with the ever increasing tech community in Pasadena. Brick Fest Live LEGO Fan Festival is great for kids of all ages. Get inspired, educated and entertained, all with the wonder of LEGO bricks. Experience all there is to do and see at Brick Fest Live in the Brick Fest Derby, the gaming arena, mosaic wall, brick zone, brick wall, LEGO miniature golf and more. Shop a variety of LEGO vendors. Discount Tickets Available here on LivingSocial. According to an agenda for June 22, 2015. Ms. Zavala twisted/fractured her ankle while stepping off the sidewalk on Orange Grove Blvd. Her lawyers claim her injuries are the result of the City’s negligence in maintaining the sidewalk/curb/street where she was injured. Today, we are excited to announce that Amazon Echo is available to everyone. We launched Echo as an invitation-only program in November to learn how customers would use and enjoy it most. The response has been overwhelming. Echo was born from a simple idea: create a computer, controlled entirely by your voice. This idea required some incredible invention. It had to understand natural language requests, from many voices, from across a room, even when music is playing. It also needed to be informative, entertaining, and useful—while always getting smarter. With seven microphones, beam-forming technology, and noise cancellation, Echo achieved this goal by enabling far-field voice recognition. And Alexa, our cloud-based voice service that powers Echo, provides information, music, news, weather, and more—and she is constantly learning new skills. Since launch, we have added streaming music from Pandora, audiobooks from Audible, calendar access, live sports scores and schedules, traffic reports, Amazon.com re-ordering, control of connected devices such as lights and switches from WeMo and Philips Hue, and more. Many of these features are a result of feedback and suggestions from our customers—thank you. I am excited by what the team has done in a short period of time with your help—and we’re just getting started. We hope you enjoy Amazon Echo. P.S. — See what some of our early customers are saying about Echo. GLENDALE, Calif.–(BUSINESS WIRE)–Disney Consumer Products will unveil unique product experiences and exclusive merchandise at this year’s D23 EXPO, Disney’s ultimate fan event, held at the Anaheim Convention Center August 14–16. Reflecting a ‘Tradition Meets Innovation’ theme, the expansive Disney Consumer Products pavilion will provide interactive opportunities for fans of all ages to explore exciting stories and engaging experiences and products celebrating everyone’s favorite Disney, Pixar, Marvel, and Star Wars stories. Playmation Marvel’s Avengers – EXPO attendees will have the chance to see if they have what it takes to gear up and join the Avengers! Be among the first to experience the recently announced Playmation product, a groundbreaking new system of connected toys and wearables that uses smart technology to inspire kids to run around and use their imaginations, as they become the hero or heroine of Marvel stories. The Marvel Universe – Fans of all ages collect across the ever-expanding Marvel Universe, and at D23 EXPO they can experience more of their favorite Super Heroes with a preview of the newest large-scale statues, action figures and more. Additionally, attendees will get a first-hand look at how the attributes of Marvel characters – cool, strong, relatable – come together in fashionable apparel and accessories. Attendees are encouraged to follow @StyledbyMarvel on Instagram and to share their own passion for MARVEL with the #StyledByMarvel hashtag. Evolution of the Star Wars Stormtrooper – Explore the design evolution of the armor-clad legions of Clone Troopers and Stormtroopers that have fought for the light side and the dark side throughout the Star Wars saga. #TeamMickey – Fans can show off their #TeamMickey spirit and commemorate their visit at a fun-filled Mickey photo booth. Rock Your #MinnieStyle – The Minnie lounge will feature a nail bar and surprise product giveaways along with an inspired fashion and accessories statement. D-Style – EXPO attendees will be the very first to preview D-Style, an all-new, curated assortment of fashion items and accessories debuting at DisneyStore.com this fall. Make it a Tink Moment – Straight from Never Land, #TinkStyle will land at D23 EXPO. Guests can visit the ‘Bun Bar,’ where professional hair stylists will be on hand to give attendees the iconic Tinker Bell top knot while they peruse a glittering Tinker Bell product display. Unlock Your Inner Disney Princess – D23 EXPO attendees can unlock their inner princess by leaving an empowering message on a special ‘Keys to the Kingdom’ gate. The Breadth of Frozen – Fans will have the opportunity to check out Frozen products for the whole family and engage in fun activities held throughout the day. Pixar Storytelling Comes to Life – Pixar films have delighted audiences for more than 20 years with memorable characters that have been brought to life in equally delightful product. Explore some of the newest products from everyone’s favorite Pixar films. Additionally, fans will be able to see the exciting new app from Disney – Cars: Daredevil Garage – that allows you to take your favorite Mattel diecast cars into the virtual world, using them to perform extreme stunts in crazy environments. Discover Disney’s Descendants – EXPO attendees will get an exclusive look at the wicked world of fashion and toys inspired by Disney’s Descendants, the teenage progeny of Disney’s most infamous villains. Disney Storytelling Pop-Up Shop – EXPO attendees are invited to take a magical journey into the world of storytelling featuring titles that span Disney’s fascinating history. Look behind the magic through Disney Publishing’s Disney Editions books that showcase a vast array of feature films, Disney Legends, and Imagineers, available for purchase at the Disney Store retail space. Discover the Magic of Learning with Disney Imagicademy – Dive into the world of technology-driven learning through apps designed to encourage children to learn by creating, doing, and making. Disney Publishing’s Digital Discovery Zone – Fans can immerse themselves in the exciting world of innovative storytelling through a collection of digital experiences that will engage the imagination of people of all ages. Whisker Haven Tales with the Palace Pets – Take a journey into a secret realm deep in a fairy tale land between the Disney Princess kingdoms called Animal Royal Kingdom of Whisker Haven, where the Palace Pets characters can meet up with their friends, play, and save the day. Introducing Star Darlings – Coming this fall, the Star Darlings characters will encourage girls to make wishes from the heart and find their inner star. At D23 EXPO, fans can see a sneak peek into their world, with exciting Star Darlings giveaways being conducted throughout the weekend. 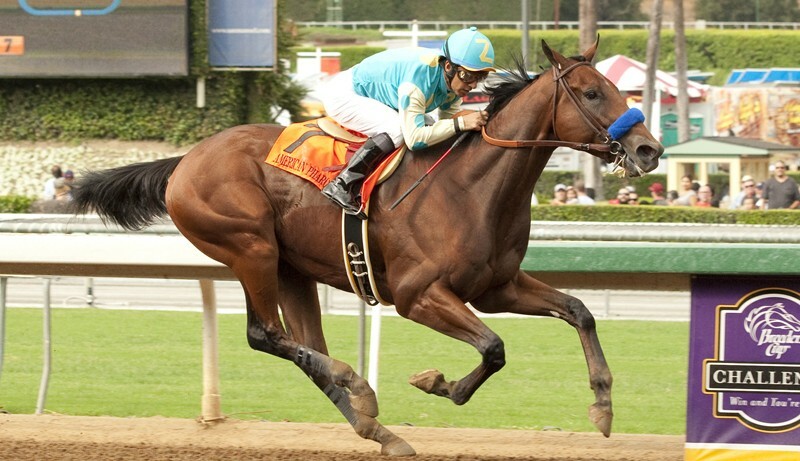 Witness American Pharoah parade at Santa Anita Park on Saturday, June 27. Santa Anita is proud to welcome home this amazing colt! Schedule to be announced. 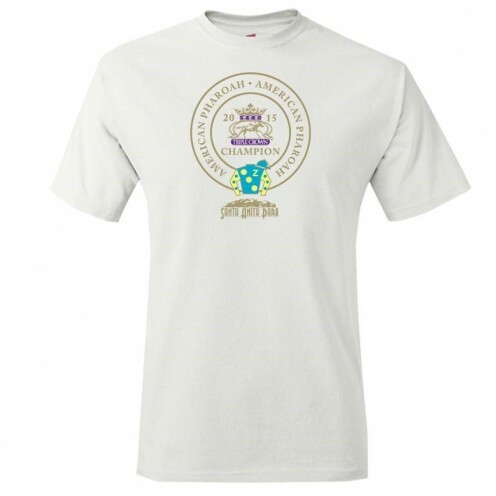 Also, THOROUGHBREDS Members will receive* this commemorative Triple Crown t-shirt emblazoned with the Zayat Stables silks–a tribute to American Pharoah’s immortal achievement. Not a THOROUGHBREDS card member? Sign up before or on the day of to receive your t-shirt on June 27th! Learn about the THOROUGHBREDS program HERE and be sure to sign up to take home this piece of history! *Must have a paid admission to receive t-shirt. While supplies last. Must be a THOROUGHBREDS Member. Please come early. Date & Time: Saturday, June 27, 2015, 2:00 p.m.
Join the Allendale Branch Library as it hosts “Regional Italian Pasta Dishes,” a cooking demonstration and tasting featuring Chef Isaac Greenhouse, on Saturday, June 27, 2015, at 2:00 p.m., at 1130 S. Marengo Ave., Pasadena. The program, which is free, is part of an ongoing series designed to spotlight the Allendale Branch Library’s culinary book collection. After working in the fashion industry, Isaac Greenhouse decided to attend culinary school to follow his passion for food. While attending culinary school, he worked in a kitchen assisting an Executive Chef and a Pastry Chef to expand his knowledge. Upon graduating, he started as a prep cook in an Italian kitchen and found his love for Italian cuisine. After two years, he is now in charge of making the pastas (Tagliatelle, Ravioli, and Tortellini) and breads at Magnone Trattoria in Riverside. For this demonstration and tasting, Greenhouse will prepare three regional Italian pasta dishes that represent his training, knowledge, and passion for Italian food: Aglio e Olio (Campania), Cacio e Pepe (Rome), and Prosciutto with Cream (Emilia-Romagna). Don’t let the evil duopoly take control of your mobile internet! It’s up to YOU to tell the @FCC reserve 40 MHz of the valuable resource called low-band spectrum and save wireless choice! Tweet at the @FCC and Take Action at savewirelesschoice.com to tell them you want to keep competition alive! reference another lawsuit by the California Clean Energy Committee v. City of San Jose. California Clean Energy Committee is a tax-exempt, non-profit organization that advocates for energy efficiency and renewable energy, including CHP, throughout California. The organization is interested in advancing opportunities and public education for CHP at combined cycle gas turbine plants. Last week, Friday June 19, 2015, President Obama visited Highland Park, to do an interview with Marc Maron. The podcast has been released this morning. Come Celebrate Our community, Our Youth Our Future at our 12th Annual Lincoln Village Festival! Come check out what we have going on! We have Carnival Games, Information booths, Kid & Teen Zones, Costume Contest, Live Music and Food trucks Featuring In-N-Out and much more to enjoy!